Topic: PPC212V.. yay or nay?.. Re: PPC212V.. yay or nay?.. 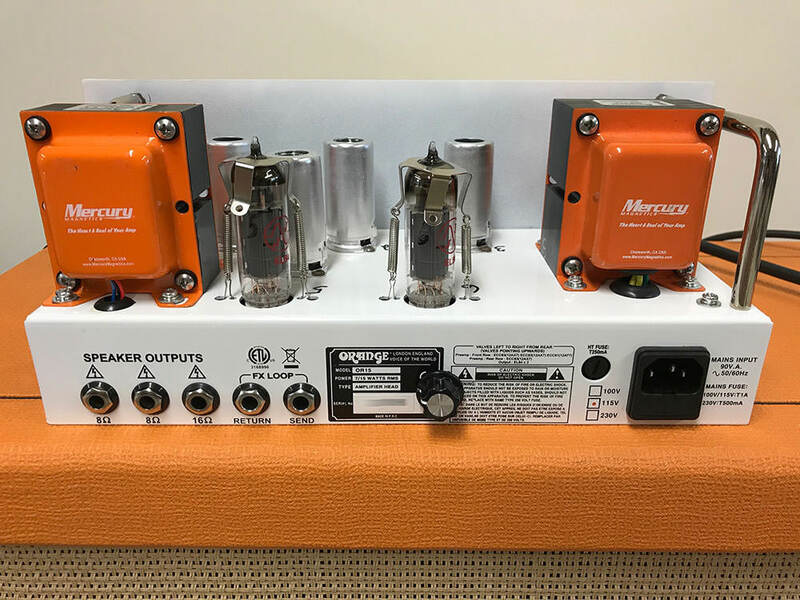 Nice, I've been wanting a Orange vertical 2x12 for a long time! ...but the price, ouch.. it's more than the Brent Hinds head. I guess thats because its made in England. Topic: No NAMM rumors at all..? Re: No NAMM rumors at all..? Based off the Custom Shop 50? They already did the Rockerverb with Jim Root. If its based off an existing model, I'd guess Thunderverb. Pretty sure he's known to use those. a lot of people are speculating that is a pic of a brent hinds signature amp. Yup, Orange just posted a tease on Facebook with Brent! Do you find the mod to the OR15 sounds similar to comparing the OR15 to the JR (assuming you still have both and have compared) ? I think what your asking is - Does the #4 mod on the OR15 sound like the #4 amp? If thats correct, yes the mod sounds the same as the #4 amp. Well i'm old & probably a bit deaf & on my crappy computer speakers I can hear enough difference to ask,could this mod be made to work the other way round?,i.e.mod a JRT to get the OR15 tone & be able to switch between both?,having the extra flexibility would be a big plus for the JRT.